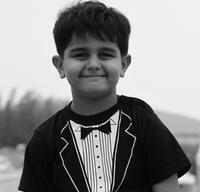 Pranav, an Indian national, is a six year old boy who was diagnosed with T Cell Acute Lymphoblastic Leukemia in Aug 2012. He was treated with chemotherapy for many months before it was decided that he needed a bone marrow transplant to cure him of this disease. His one year-old sister was found to be a matched donor, and he subsequently underwent a transplant at Children’s Hospital at Philadelphia on 14th Feb 2013. His family is trying to raise funds for both his medical treatment, not just for post-transplant, but also for a long-term recovery. These will include relocation expenses for the family to be near the hospital, transportation, medications, home tutoring, physical therapy and blood transfusions from time to time. Pranav and his family will need the help of family and friends to get through this difficult time. Without the added financial stress, they can focus on getting Pranav back to his normal physical and mental state. To help with his post-transplant expenses, a fundraising campaign in Pranav’s honor has been established with Help Hope Live, a non profit organization that has been assisting the transplant community for 30 years. All donations are tax deductible to the full extent of the law, are held by Help Hope Live in the Mid-Atlantic Bone Marrow Transplant Fund, and are administered by Help Hope Live for transplant and post- transplant related expenses only. For secure credit card contributions, click on Donate Now or call 800.642.8399. If you would like to make a wire transfer please contact the Financial Department at HelpHOPElive (800-642-8399) for instructions. On behalf of Pranav, I thank you for your generosity and support. Stay strong little guy! You are in our hearts and prayers!